Sweater weather is the time for warming up your bellies with scrumptious meat. And if scrumptious meat is what your hungry heart desires, then you’ve come to the right place. 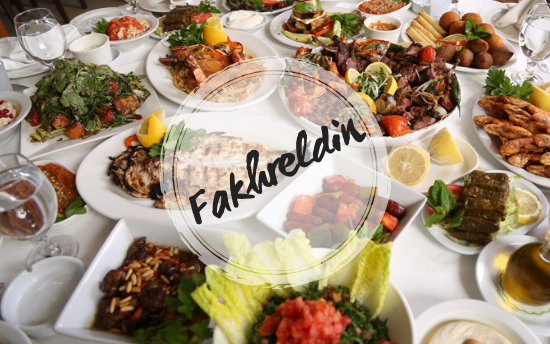 The Tip n’ Tag Team scouted Amman’s carnivorous culinary landscape and handpicked the finest spots guaranteed to serve you a plate of perfection. Prepare to meet the meat! Brisket revolutionized the meat game in Jordan. Before this humble diner, it was hard to find top-notch beef in a restaurant with such a laid-back ambience. This is why its sidewalk gets so packed when the grill gets cookin’! Even on crisp winter nights, you’ll forget any cold once your teeth sink into their tender brisket that’s as soft as butter. 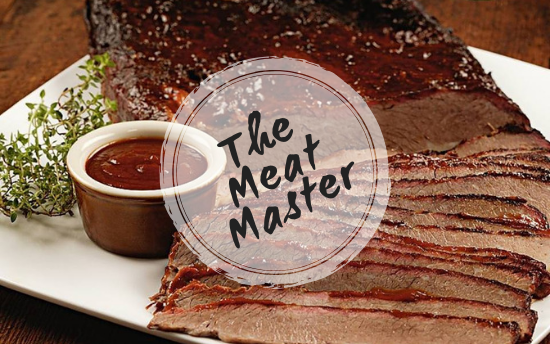 The Meat Master is Amman’s first gourmet meat store. If you’re a challenge seeker, you can browse through their diverse selection of high-quality cuts and cook a lil’ something yourself at home. 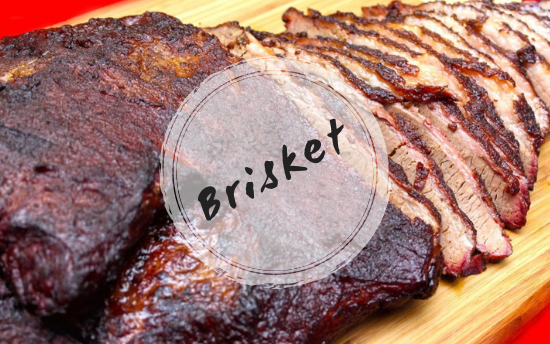 But if you’re looking for true gastronomic bliss, you need to put your faith in the masters and try their slow-cooked brisket or smoked short ribs. 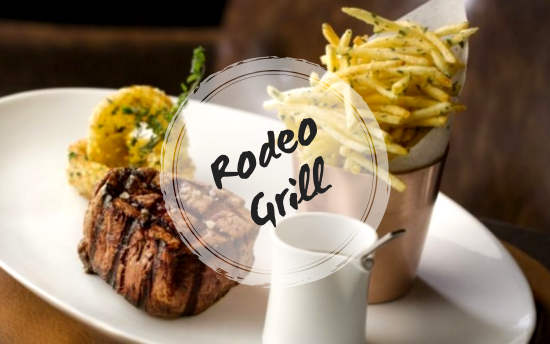 No place grills or seasons their meat the way Rodeo Grill SteakHouse does. Every bite of their tender beef-cuts brings through the authentic flavors produced by their slow-roasting process. If you’re someone who appreciates quality, you wouldn’t want to miss out on their heavenly creations. Don’t worry about bringing along your appetite, the aroma alone will do the job just fine. It’s hard to cook the perfect steak, and it’s even harder to cook it in front of a hungry audience. 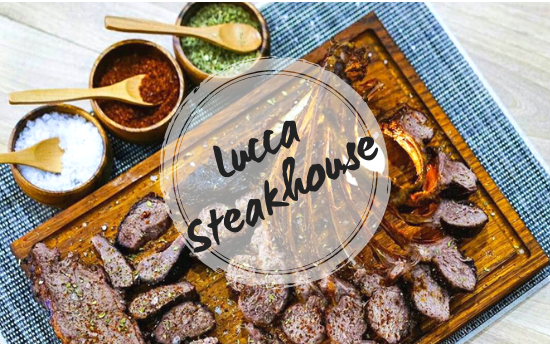 At Lucca Steakhouse, it’s second nature. Some cuts on their menu are prepared in a live cooking show right in front of your table. The sizzling meat then travels directly onto your plate for your blissful belly to consume. It’s also worth noting that this place is known for its warm and welcoming staff. 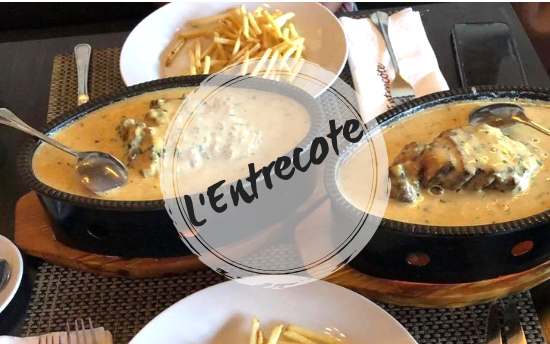 For those of you who get overwhelmed by having too many food options, L’Entrecote is here to save you with its wholesome set menu. You can start with a drink and a simple lettuce and walnut salad before moving on to tender filet slices drenched in the restaurant’s famous Café de Paris sauce. Of course, this wouldn’t be complete without a side of golden crispy fries to dip into the creamy goodness. To top it off, you get to indulge in heavenly ice cream after your meal. What’s better than that? 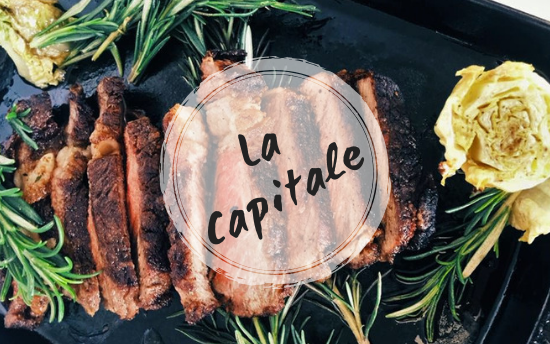 Everything sounds better in French, and at La Capitale, everything tastes better too! If you’re in the mood to treat yourself, this vibrant yet elegant French brasserie makes some of the best steak in town. Countless meat lovers can vouch for the heavenly goodness that is their Steak Frites: flat iron steak, swirly tornado potatoes and shallot sauce. Pair your meal with one of their artisanal salads and a generous glass of wine and you’re set. 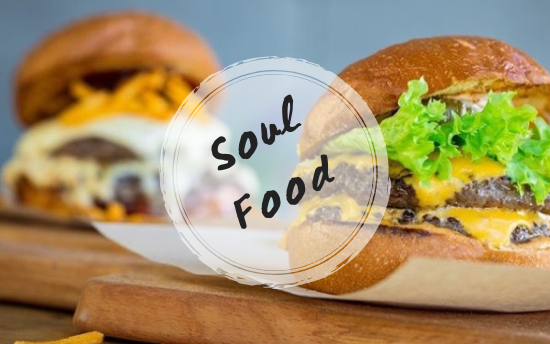 Good food feeds the soul, and no one knows this better than Soul Food. The sight of their fluffy buns, rich patties and dripping cheese is enough to make your soul swoon. Since they serve sliders, you can try a whole bunch of them all at once! Keep your eyes on their Rumor Beef Burger; it’s got some spicy jam action going on inside. 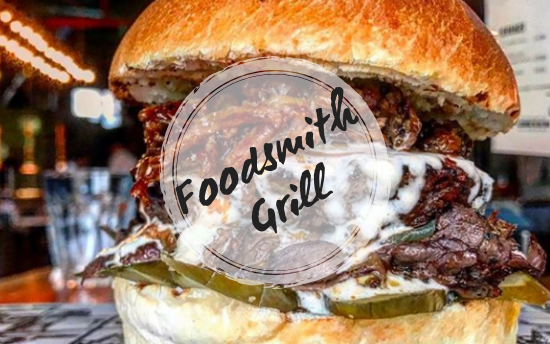 Foodsmith Grill has a big meat menu, but their burger selection deserves its own moment in the limelight. For all of you traditional eaters out there, you can’t go wrong with their classic cheeseburger. If you’re feeling adventurous, their brie and black truffle burger will arouse your senses and make your taste buds dance in delight. Don’t worry if you’re indecisive; just keep coming back so you can try them all! Donuts are great. Burgers are great. 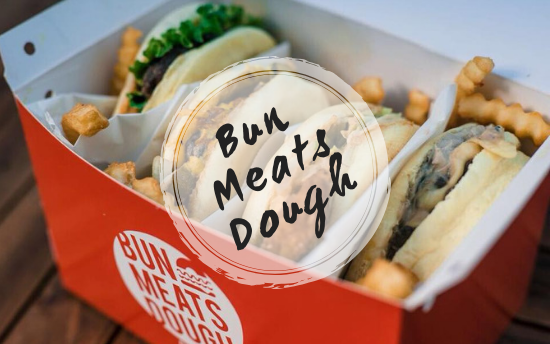 Bun Meats Dough knew that a crossover between the two would be even greater. The combination of sweet glazed donuts and savory prime beef patties creates an unmatchable flavor. For those of you who are still skeptical about pairing the two, you can ask for their homemade potato buns instead and have a donut (or five!) for dessert later. Want to host a barbecue at your place but don’t want to spend the whole day fanning coals and rotating meat so it cooks evenly? These guys have your back. 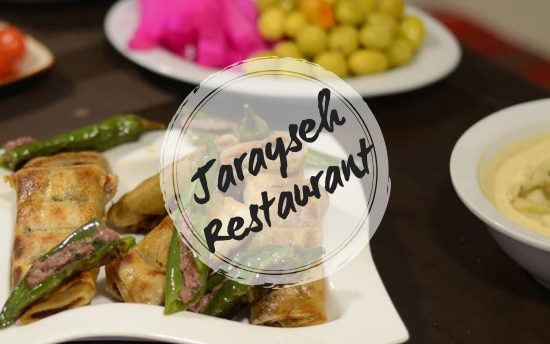 Jarayseh Restaurant makes some of the best mouth-watering meat out there. Their kebabs are perfectly charred on the outside and wonderfully juicy on the inside. If you’re up for the heat, try their meat-stuffed green chili peppers and spicy grilled Arayes. 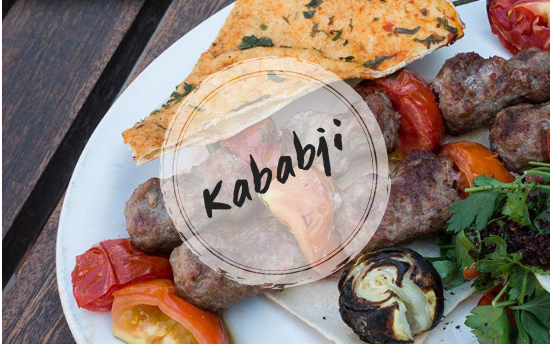 Kababji is like that friend you can always rely on when you’re in need of a pick-me-up. It’s fast, guaranteed, filling and delicious. It’s especially perfect on those days at the office when you’re craving some grilled lamb chops and veal bites to try and get through your day. Dine in, pick something up or order to your doorstep. You’ll know you made the right choice when you dip that piece of barbecued goodness in hummus and chuck it in your mouth. What’s a meal without meat?